The Dallas Cowboys have some very interesting decisions to make about a few of their players who will be entering free agency this offseason. What to do about Wide Receiver Cole Beasley has grabbed most of the headlines, but I think we might need to turn our attention to the Cowboys talented yet troubled defensive tackle, David Irving. I know the majority of you are probably rolling your eyes right now at the thought of retaining David Irving after all he's put us and the Dallas Cowboys through the past several years. He's unfortunately missed as many games as he's played in because of off the field issues and suspensions. But, I'm personally not ready to give up on him just yet and I'm not so sure the Cowboys are either. We haven't seen or heard much about Irving since the end of October. The only thing we know is he sustained some kind of high ankle sprain at that time and was dealing with some off the field issues as well. There could be other factors involved here, but those two situations kept him sidelined for the rest of the 2018 season. I know Irving missing all that time was the last straw for a lot of Cowboys Nation, but no one really knows what was going on. The Cowboys decided to stick with him and even kept him on the active roster for the rest of the season, even though they could have placed him on injured reserve. To me, that suggests they're not ready to give up on him just yet. I wouldn't be at all surprised if the Cowboys decided to bring David Irving back in the mix. Re-signing him to a contract isn't going to cost them a lot, because no team of their right mind is going to fork over a lot of money with all of his red flags. The Cowboys have shown they are willing to stick with players despite their off the field issues, especially if they're talented. They've done it with DeMarcus Lawrence and Randy Gregory recently. Both of them have had their fair share of problems and suspensions, but are paying off now. I think David Irving could be the next. Irving is still young guy. He's only 26 years old, meaning his best football is probably ahead of him if he can clean up his off the field problems. I personally believe the risk is well worth the reward. 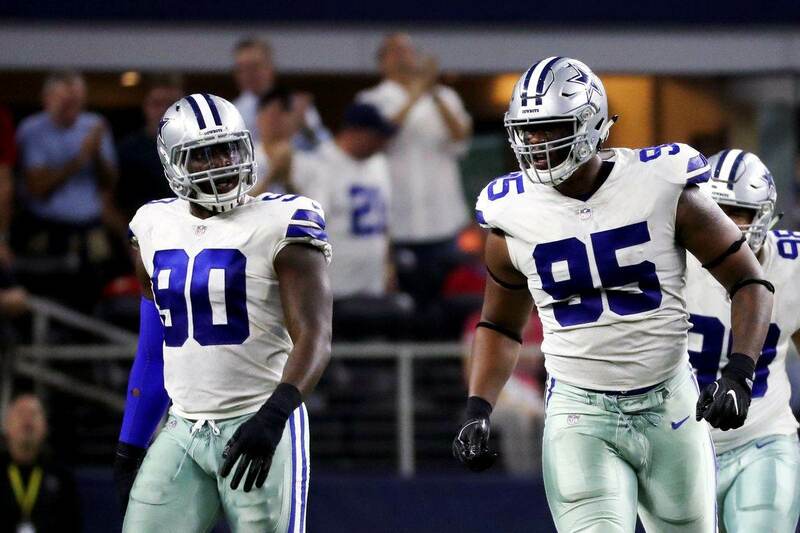 The Dallas Cowboys simply aren't going to find a defensive tackle as talented as David Irving in free agency or through the draft. They of course could chase after Grady Jarrett, but that would cost them about $15 million a year. And finding a talented DT of Irving's caliber through the draft would be next to impossible. If it was up to me, I would personally forget about all of David Irving's off the field problems and signed him to a cost-effective contract that would protect the Cowboys if something were to go wrong once again. There's no doubt he can be a difference maker, and luckily enough he just so happens to play a position that is in desperate need of upgrading. Would you be on board with the Dallas Cowboys retaining David Irving?